I will show the following methods. ttyACM0<*1>: ATQ0 V1 E1 -- and failed too at 115200, giving up. Sorry, no modem was detected! Is it in use by another program? ttyACM1<*1>: Max speed is 460800; that should be safe. ttyACM2<*1>: Max speed is 460800; that should be safe. ttyACM1<Info>: Speed 460800; init "ATQ0 V1 E1 S0=0 &C1 &D2 +FCLASS=0"
ttyACM2<Info>: Speed 460800; init "ATQ0 V1 E1 S0=0 &C1 &D2 +FCLASS=0"
logger "Setting new route from candidate: $modem_route"
now this pings google dns server to check speed and also disconnection depending on the ping TTL and also changes the route between the two modem routes as you can see on the last two lines. do i need to go deeper than this sure... but come on should i do all this for you? if yes ... wait for it... THIS IS FOR EDUCATIONAL PURPOSES ONLY how to configure routes. What do I get out of this. I will be creating a BTS with the cheapest hardware equipment available to do this. Read above and then think of what a BTS can do. ..... ok lets get rolling. Warning: Only set GSM.Radio.C0 to an ARFCN you have a valid license for. now that we have nearly everything done, play around with Osmocom if its your first time.... clearly if you need to know what it does i would suggest you go to my PDFs link and get more info on the 2G networks before doing anything past what you are doing. 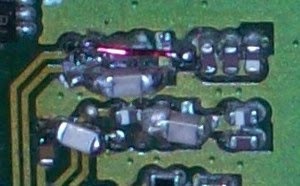 "When attempting this for the first try, I soldered / desoldered components a few times and ended up destroying the pads and traces so much that there was no way I could put the original filters or balun back on the PCB. So in a last attempt to make the phone do something, I tried something a little unorthodox (actually proposed by h0rizon on IRC :). Instead of doing a proper unbalanced to balanced signal convesion, I just connected one of the RITA balanced line to the ground using a DC blocking cap. And then connected the other balanced line to the input via a capacitor as well. For DCS1800 you need to add a capacitor of your own, but for EGSM, there is a capacitor in the input SAW matching that does the trick so you only need a wire. So do I start with explaining every single bit? because this is one hell of a lengthy topic. 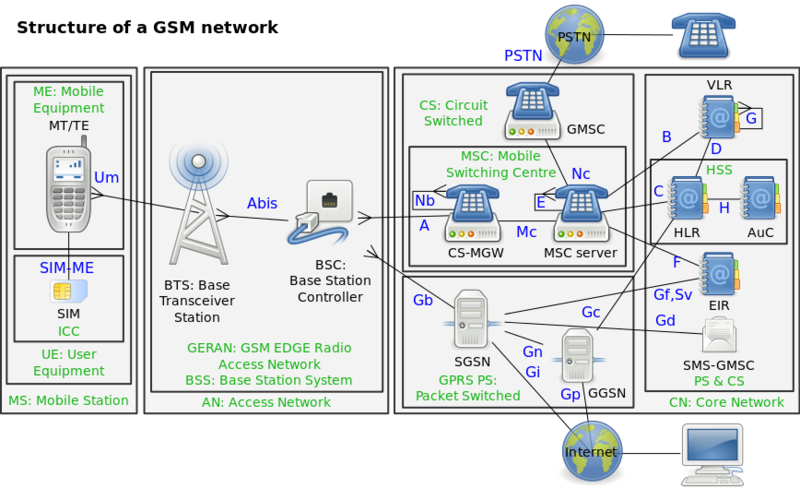 So with this we have a huge playing field, I know this is rather new to many people and since GSM was a very hushed on project it means the documentation available is either too heavy for people to indulge in or too un-detailed, so starting of from the really simple works out there i will try to bridge this lines the best way i can. Here are the things that we can achieve as of now. So with that... why dont we dive in..... start from the next post about the debugging devices.